As a long time, avid watcher of Dragons’ Den, I was really excited to have the opportunity to write this week’s blog. After 12 years at the IPO I’ve learnt a thing or two about intellectual property (IP), but something always amazes me – how seemingly simple products cure common problems. The first entrepreneur into the Den this week, Peter Hill with Pedaldish demonstrated that perfectly. Local authority worker by day, entrepreneur by night, Peter was very enthusiastic, energetic and full of determination. He clearly believed in his product. But were the Dragons interested in Pedaldish because of the ethics or money it could make them? I have a cat who, like most, loves his food. But he choses when he wants to eat it. It’s often the case that I throw his food away because it’s been there all day, but there’s nothing wrong with it. I imagine that over a month I throw away 15% of his food. This is the problem Peter sought to solve. He presented a pedal-activated cat food bowl that kept food fresher for longer, and covered from flies. ‘Ingenious’ I thought, ‘just what I need for my cat’. This is very much the process of innovative design – take the late Trevor Baylis, made famous for creating the wind-up radio. A relatively simple answer to a big problem – lack of access to batteries in third world countries. You can read more about Trevor here. However, back to Peter and Pedaldish, the Dragons soon noted a problem – lack of patent protection, meaning that anyone could produce a product like that. In fact, Peter said that such products had been available in one type or another since the 1960’s. He said he’d kept his simple – without batteries or complicated mechanisms. Personally, I really like products that have simplistic and functional characteristics, and although similar products had been made before, Peter claimed was made to last the life of the cat – less plastic waste in landfill, as well as less food thrown away perhaps? You can check to see if a similar patent to your invention already exists by searching the worldwide patent database Espacenet. It was at this point that the Dragons started to do their famous “I’m out”. One after the other after the other, until the camera panned to the last remaining Dragon, Deborah Meaden. Her face screamed of deliberation. I think she was torn between the making money and investing for ethical purposes. At this point I thought “Surely Deborah is going to invest…this is right up her street.” And then she says, in her usual perky way, “….I do like it”, in contrast to the other Dragons. After some discussion over the shares, a deal was done and Peter walked away with an investment and a hopefully bright future for Pedaldish. This was no-doubt a risk for Deborah, because there is nothing to prevent another company bringing out a similar product, primarily because of a lack of patent protection. However, as Deborah hinted at, she was drawn by Peter’s ability to solve problems inventively and his future invention plans. Perhaps this was an investment from a more ethical than profit driven position, as well as an investment in Peter himself? Who knows, but that’s my theory anyway. Is inventing all about making money? 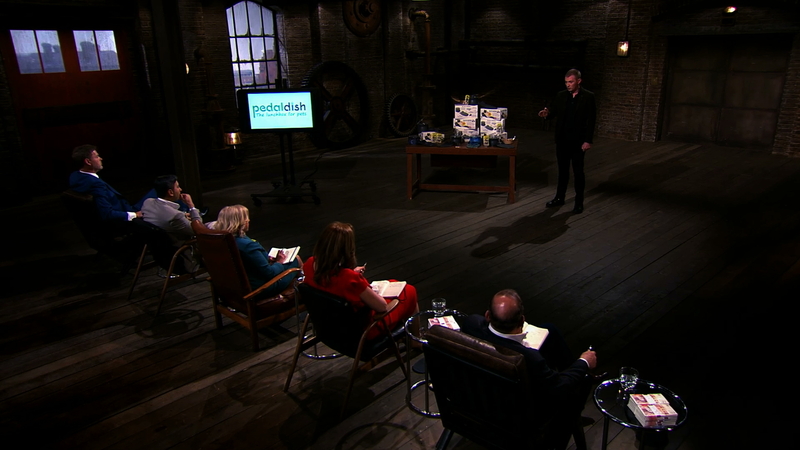 Peter’s time in the Den highlights two points for me – is inventing all about making money, and, what help is out there for budding inventors? Firstly, no, I don’t think inventing is solely about making money. It has been argued that humans (homo sapiens) survived and Neanderthals became extinct because humans were able to adapt their hunting methods whereas Neanderthals couldn’t. Ultimately this is down to innovation and personal survival, not about money. Fast forward thousands of years and our lives are much more comfortable than our ancestors, but we still need to innovate to survive. We need life-saving drugs, we need to put sophisticated systems into orbit to detect threats to earth, we need to combat climate change to preserve the environment and there are lots lots more. But given our more comfortable environment we can now also invent for pleasure and in our spare time – the people who spend hours in their sheds tinkering with electronics or carving wood. A friend of mine has connected his fish tank to a Raspberry Pi, which allows him to ask his smart speaker what the temperature is – amazing! He had great pleasure in showing me this, but it wasn’t for profit, it was for fun. Want to turn your business idea into a reality? Join the Business and IP Centre in London on 20 September for a day of free talks, expert workshops and tailored advice. 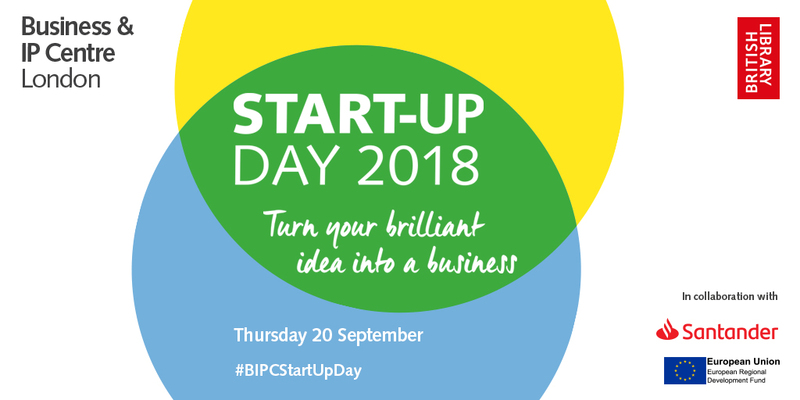 If you can't make it to London, Start-up Day 2018 is happening in across the country so see what's on near you. And this brings me to conclude this week’s blog. The message is, inventing doesn’t have to be about making money. Invent for pleasure and enjoy it. And perhaps you may stumble across the next global game changing product, if you’re lucky! If you are thinking about the intellectual property in your business, visit the IP for Business section of our website or sign up to receive regular updates. Thanks Peter for investing in Craig. With kids addict to their phone, I think it's a really good idea an even I would ask the government to push the use of gardening and DIY experience in school, everybody forgot the base of life today. Ask a kid where he can find a carrot, he would probably reply "on amazon" which is crazy. His work and life ethic are remarkable and his idea fantastic. Every school should have a garden to teach kids when and how to grow vegetable and what is the satisfaction of it.